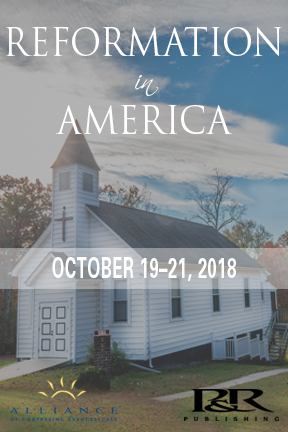 On October 19-21, we invite you to join Charles Barrett, Brian Cosby, Collin Hansen, Hans Madueme, Stephen Nichols, and Richard Phillips in Signal Mountain, TN, as they address Reformation in America — the American story of the Protestant Reformation. Learn about the people and ideas that shaped our world today. Each year, Wayside Presbyterian Church invites world-class scholars in Reformation history to present a series of lectures which are meant to encourage a love for the Scriptures, to foster an appreciation for those who have gone before us, and to cultivate a joy for God through Christ. Register today!